Robert Smith and Steven Severin from Siouxsie and the banshees teamed up for a musical collaboration the result was the dreamy and wonderful album Blue sunshine in 1983. it was part of Severin's solo deal with Polydor. 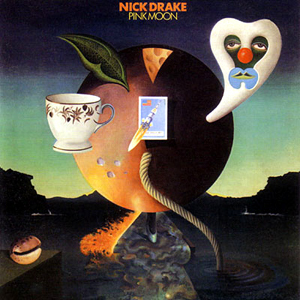 The latter came up with the band name, the album title and the blue/yellow sleeve concept, as Smith had to leave the project before completion due to Cure. 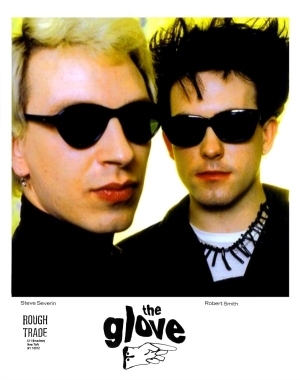 Smith and Severin founded the Glove during a period when they were under heavy stress in their respective bands, the Cure and Siouxsie and the Banshees.and The first song that they recorded was "Punish Me with Kisses". The band's name referred to the enormous flying glove in the Beatles' 1968 animated movie Yellow Submarine. 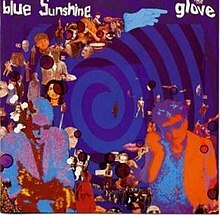 Their album's title, Blue Sunshine, referred to the horror film Blue Sunshine, in which people who took the fictional "Blue Sunshine" variety of LSD became psychotic murderers. Since Smith was contractually prohibited from singing with another band (one of the reasons he cited for the 2001 split from the Cure's longtime label), former Zoo dancer Jeanette Landray (a former girlfriend of Severin's bandmate Budgie was recruited as the lead singer. Smith sang on two of the songs, "Perfect Murder" and "Mr. Alphabet Says". With the latter, Smith sang lyrics other than his own. Siouxsie and the Banshees was another band I saw. 1986 I think. I've seen some pretty cool bands. Especially in my teens and twenties. The one band I never got to see that I really wanted to was the Clash. I still think that London Calling is the single most influential album of all time.